Do you and your family love fried foods? Do you want to have the same delicious flavours but seek a healthier way to get the distinct taste of fried foods? Today, Malaysians are becoming increasingly conscious about the food we eat. However, many local favourites are deep fried – from ayam goreng berempah to ikan sumbat sambal, making deep frying part and parcel of daily Malaysian cooking. This, in turn, means that for many Malaysians, mealtimes often present a choice between indulging their taste buds or making a responsible choice for their family’s health. “For parents, the biggest food critics in the family are often among the littlest members, and when the children are great fans of deep fried favourites, adults tend to ‘give in’ to the children’s choices. While many parents do try to ensure meals are home-cooked for greater control of ingredients and quality, many busy Malaysians often prioritise convenience when choosing meals. However, quick mass-produced food can be high in calories, fats, sugar and salt. We can see the health impact, with 47.7% of Malaysian adults being overweight or obese, whereby excess weight is a significant risk factor for cardiovascular disease, Malaysia’s top cause of death year after year.1,2 There is indeed a pressing need to help Malaysians prepare healthier meals with greater convenience,” said Mr Muhammad Ali Jaleel, Country Manager, Philips Malaysia. 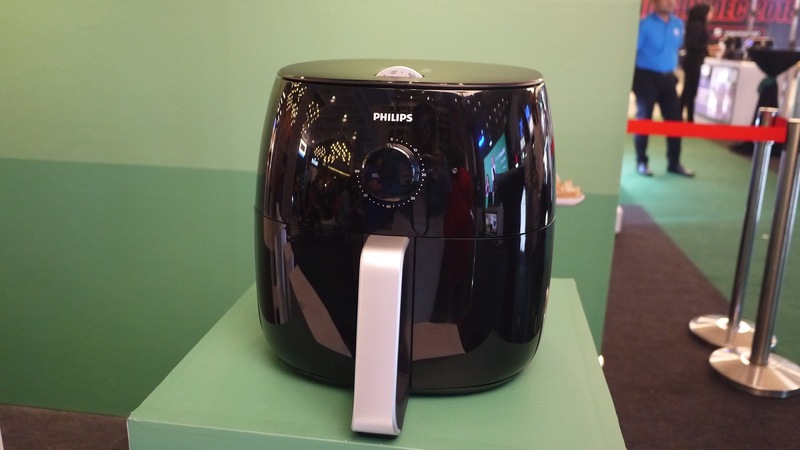 “At Philips, we combine consumer insights and innovative product development – offering consumers a healthier way to fry by removing up to 50% of fat from food, and greater convenience by allowing them to cook more food at one go, with our biggest Airfryer capacity to date. 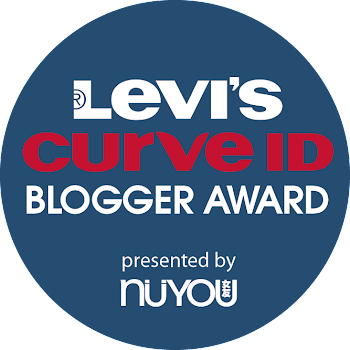 We understand that parents, especially mums, take pride in serving healthy, delicious home-cooked meals, and we want to help them achieve this more easily through our innovative appliances,” he added. A must-have for preparing yummy yet healthier food at home, the Philips Viva Collection Airfryer XXL (HD9630/99) – the latest Airfryer from Philips, takes the hassle out of cooking for all in the family. Its extra-large size is designed with families in mind, so you can easily prepare enough for everyone. No more cooking in batches just to satisfy everyone’s appetites! With the biggest Airfryer capacity to date, it can easily handle a whole chicken or up to 1.4kg of fries for up to 6 portions at one go. The Philips Viva Collection Airfryer XXL offers consumers a healthier way to fry, by removing up to 50% of fat from food, especially meats, while cooking, without compromising on taste3. 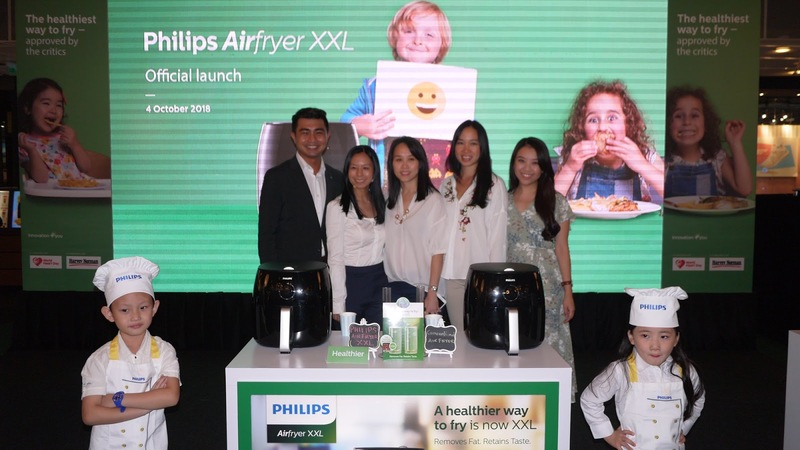 It is the first Philips Airfryer to incorporate Fat Removal Technology that focuses on reducing the fat in food, making it a healthier way to fry, compared to more traditional frying methods such as deep fat frying and wok frying. 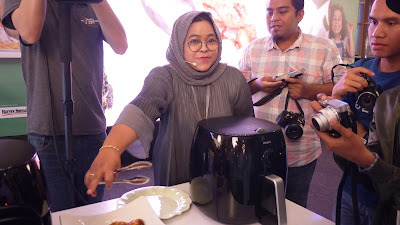 Its new Twin TurboStar feature uses 2,225W of power for effective fat removal, swirling the hot air in the Airfryer like a powerful tornado through the entire cooking basket to extract more fat, capturing it at the bottom of the pan through the Fat Reducer Lid for easy disposal. You can roast a whole chicken at one go, or prepare fried chicken for the whole family, achieving mouthwatering food that is wonderfully crispy on the outside and tender on the inside – removing fat yet sealing in the juices and flavour. Love fries? With the Airfryer, your fries will no longer need to be cooked in a vat of oil, yet you can get crispy fries every bit as delicious and satisfying as deep fat fries – but cooked with 90% less fat1. Besides, your home is also free from the smell of fried oil when using the Airfryer. For today’s busy cooks, cleaning up needs to be easy and fast. 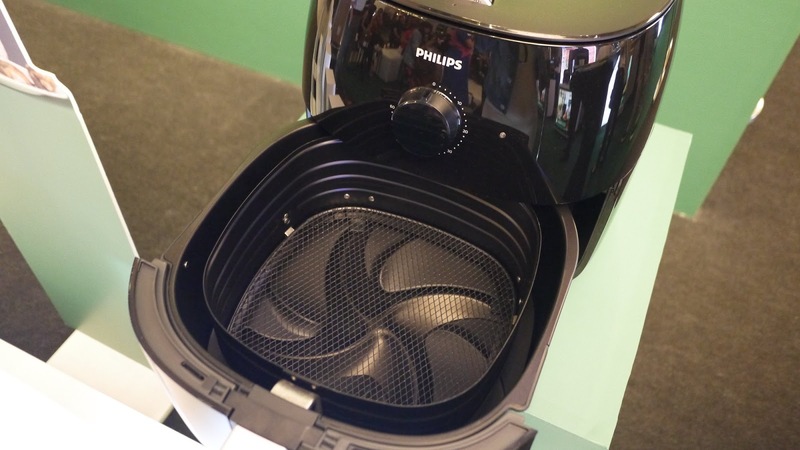 To make things easier for consumers, the Philips Viva Collection Airfryer XXL comes with a QuickClean basket with a removable non-stick mesh that can be cleaned in as little as 90 seconds. All removable parts, such as the basket and removable drawer with non-stick coating, are also dishwasher safe. 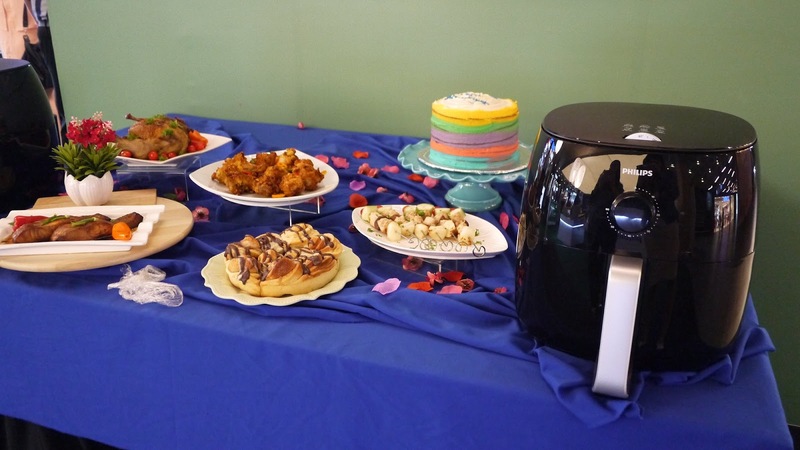 The versatility of the Airfryer XXL allows consumers to cook a variety of foods for quick, delicious family meals. With 2,225W of power, this is the most powerful Airfryer yet, giving you faster cooking results2, while the instant heat-up function means this Airfryer is always ready to cook anytime you are – no more waiting for your appliance to heat up. Whether you choose to fry, bake, grill or roast, choose your temperature settings from 80˚C to 200˚C. For longer cooking times, you can even set the timer up to 60 minutes for greater convenience. To help you get started, the Airfryer XXL comes with a recipe booklet featuring more than 30 delicious dishes created by professional chefs with easy-to-follow instructions – from quick healthy snacks to full family meals. Want more? The Philips Airfryer app, available for iOS and Android devices, offers more tips, tutorials and easy-to-follow recipes. The Philips Viva Collection Airfryer XXL (HD9630/99) is available at a recommended retail price of RM1,699 inclusive of a grill pan and a set of skewers, at the Philips Brand Store in Publika Shopping Gallery, The Gardens Mid Valley, and Wangsa Walk, all in Kuala Lumpur; in Sutera Mall, Johor Bahru; and in Gurney Plaza, Penang; at the Philips Experience Store in Menara Axis, Petaling Jaya; and at retail partners and distributor stores nationwide, as well as via the official online store on Lazada at https://www.lazada.com.my/philips-official-store/.